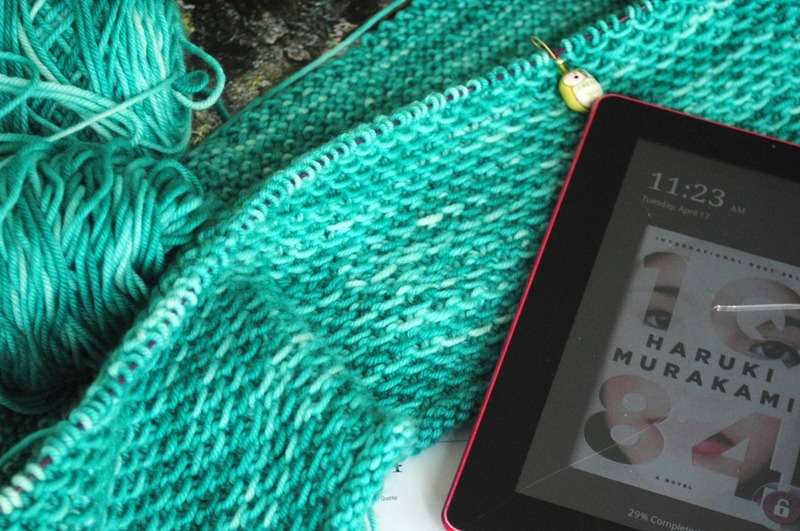 I decided I had to participate in yarn along today because I am fully obsessed with the book I am reading. 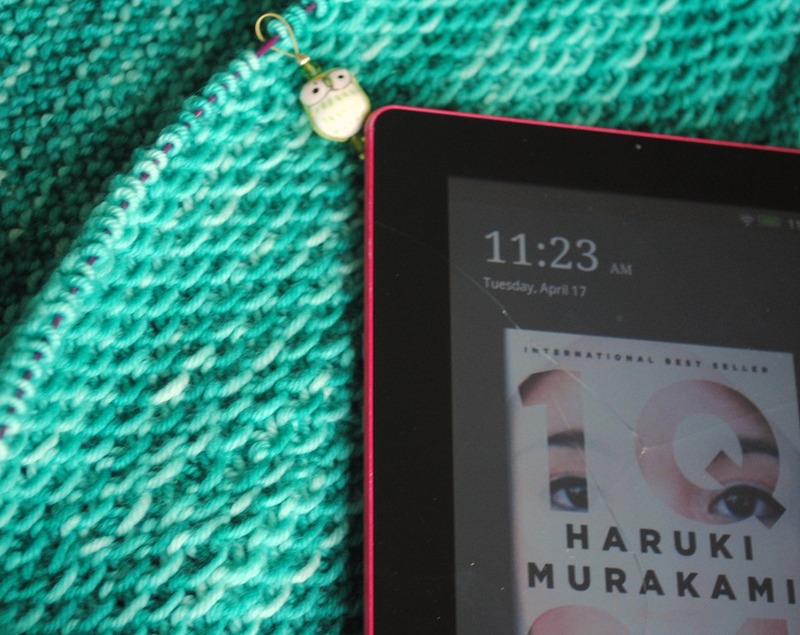 I’m reading 1Q84. THIS BOOK IS CRAZY! I’m only 29% in and I want to read what other people are thinking about it so badly but I don’t want any spoilers in reading reviews! It’s actually published as 1 book although the original japanese version was 3 books. So it’s pretty darn long! I just finished the first book. One thing I wish my kobovox did was tell me what page I am on. Not just what page of the chapter but of the whole book. That’s my only complaint though! Anyways I won’t do into too much details but this book is an ode to George Orwell’s 1984, which I also adored. It follows 2 characters (at least where I am so far) who seem very different. Ah, I don’t even want to say anything, because nothing should be spoiled! If your curious check it out here. 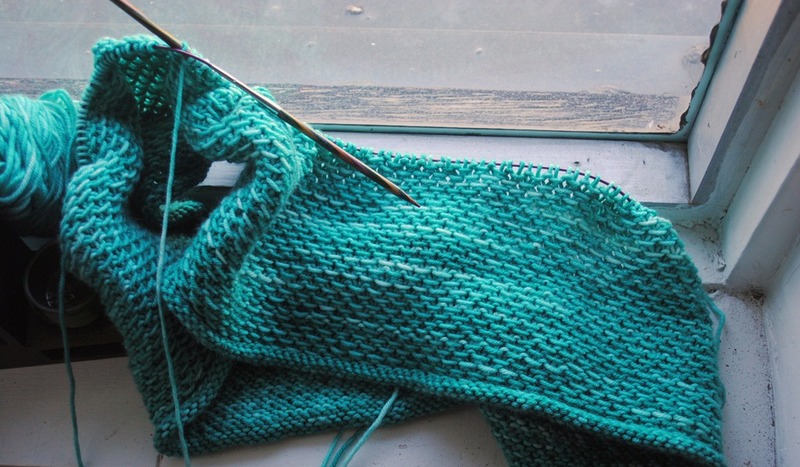 Okay onto what I am knitting. that is also important! I’m working on the Honey cowl and ADORING it. I was hesitant to start this project for SO long because I knew it would be large rounds and I was worried it would take forever. Little did I know it’s going really quickly in reality. I think it’s the yarn. 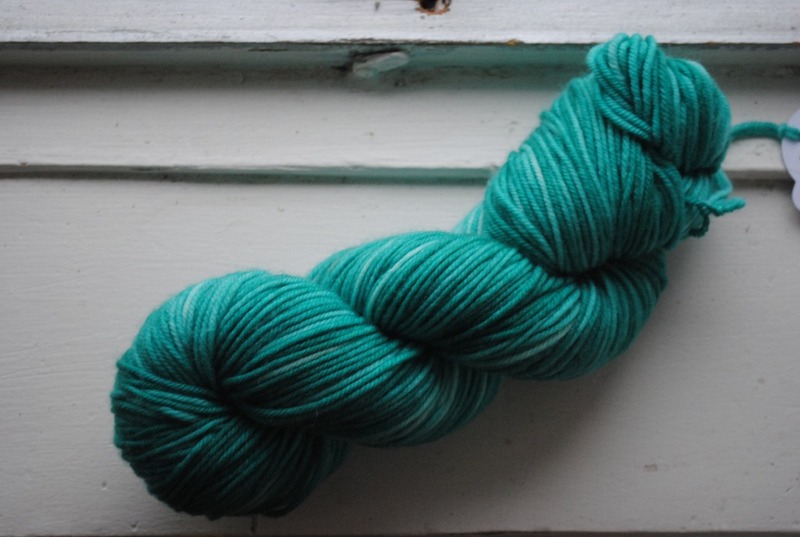 The yarn i am using is Art-by-Ana Dreaming DK in Splash. This is a merino cashmere nylon blend of beauty! Ana is an amazing dyer local to me and I love using her yarn so much! I think this will be my first FO from her yarn though actually. She has an etsy store but she sells the majority of her yarn locally. I actually have a skein waiting for me to grab it right now! 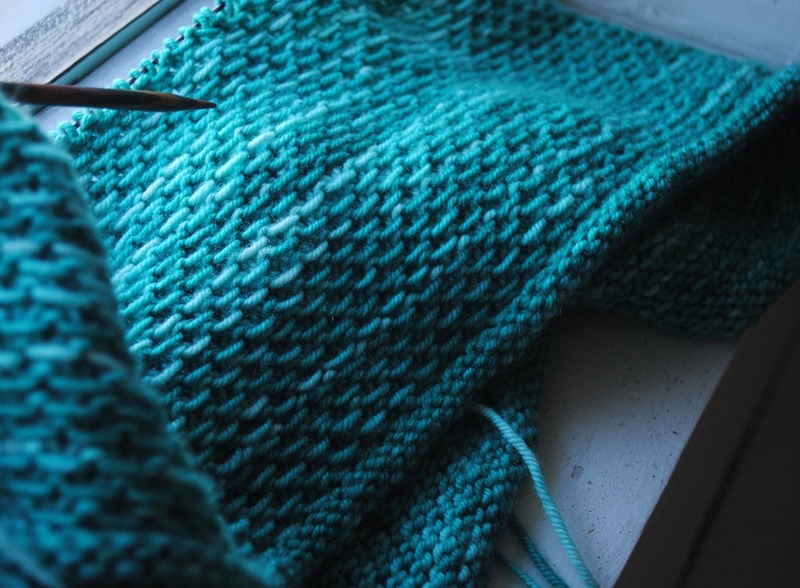 This project is using 2 skeins, which I alternate every 2 rows. One is slightly lighter than the other so I felt it necessary. I wanted bits of lighter teal all over the place on this one. I just love the way it looks! !